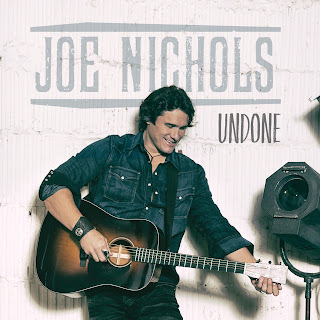 With six #1 singles already under his belt, multi-PLATINUM selling Country artist Joe Nichols is tapping into his sultry side with the release of his long-awaited new single “Undone” via RED BOW Records. The irresistibly smooth track, sure to become a defining song of the summer, is available now at all digital retailers and streaming services and is set to make waves at U.S. Country radio on June 6. Produced by Mickey Jack Cones, who helmed Nichols’ recent back-to-back #1 smashes “Sunny and 75” and “Yeah,” and co-written by songwriters Trevor Rosen, Josh Osborne and Ross Copperman, “Undone” effortlessly pairs the RED BOW recording artist’s rich baritone vocals with his unique brand of Country music. Infused with standout guitar riffs and sweltering lyrics pointing to a spellbinding romance, Nichols turns up the heat with this stirring track just in time for summer. “I love this song. Rarely have I found a song that I think appeals to traditional AND new Country fans in a romantic way like this song does. My greatest hope is that my wife likes it,” Nichols says of the track with a smile. Fans can join the conversation with Nichols discussing all things new music and beyond for his FIRST-EVER Facebook Live chat on Monday, May 16 at 1pm CT.
Nichols is currently on the road performing headlining shows and major festivals throughout the U.S. and Canada in support of the new single and forthcoming album, due out on RED BOW Records later this year.